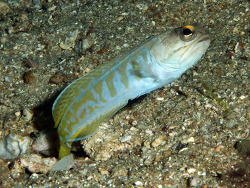 The jawfishes are among the reef's most interesting inhabitants and belong to the family of „Opistognathidae“. 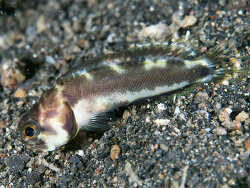 There are three genera with approximately 78 species, with many species yet to be described. 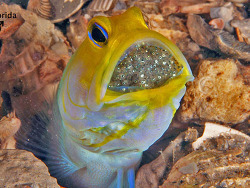 They are found throughout shallow reef areas of the Atlantic and Pacific Oceans, and the Gulf of Mexico at depths from 2 to 30 m.
Jawfishes have a bulbous head and typically an extremely large mouth. 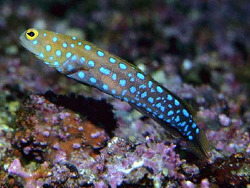 The eyes are positioned well forward and high on the head. 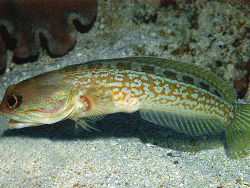 The lateral line is high on the body and usually ends below the middle of the dorsal fin. 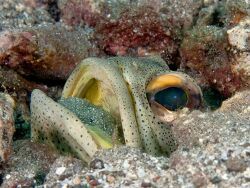 Jawfishes are generally burrow builder, digging by taking mouthfuls of substrate and spitting the debris at the burrow entrance. 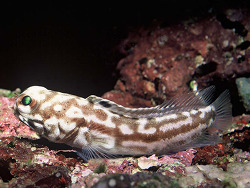 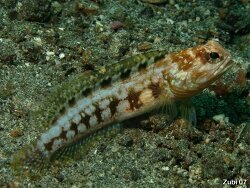 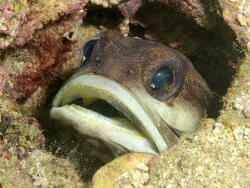 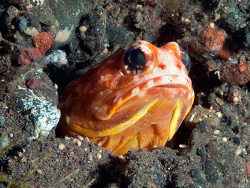 The jawfish will hover near its lair or rest in its entrance waiting for food items to pass. 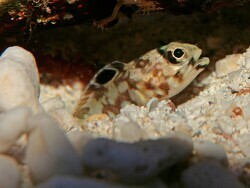 In a reef-aquarium they need a min.10 cm deep bed of mixed substrate consisting of sand, coral or rocky rubble, and bits of shell to facilitate burrow construction. 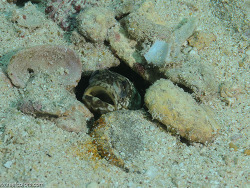 Jawfishes will often dig under a flat rock placed on the sand, using it as a roof for their burrow chamber. 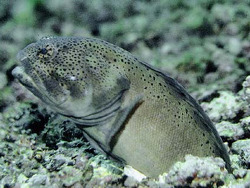 They provide plenty of open sand bottom. 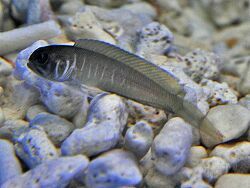 Jawfishes are best housed with more passive fish species, especially in a smaller tank. 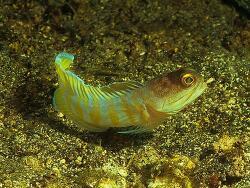 Jawfishes will chase smaller fishes away from their burrow, but rarely harms tankmates. 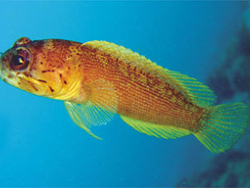 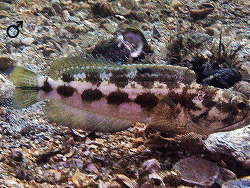 Aggressive fishes as for example dottybacks, some of the pygmy angelfishes and triggerfishes may pester jawfishes. 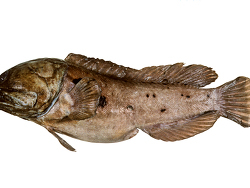 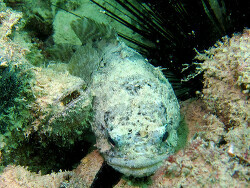 Many predatory fishes as for example eels, frogfishes and groupers will eat these fish. 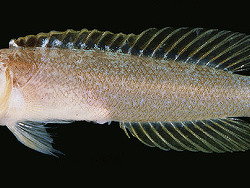 Most species appear to feed chiefly on zooplankton, but they are also known to make short excursions in search of benthic invertebrates. 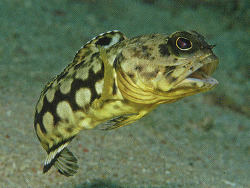 Jawfishes also known as jumpers and experts at finding small holes in the aquarium cover from which to leap.